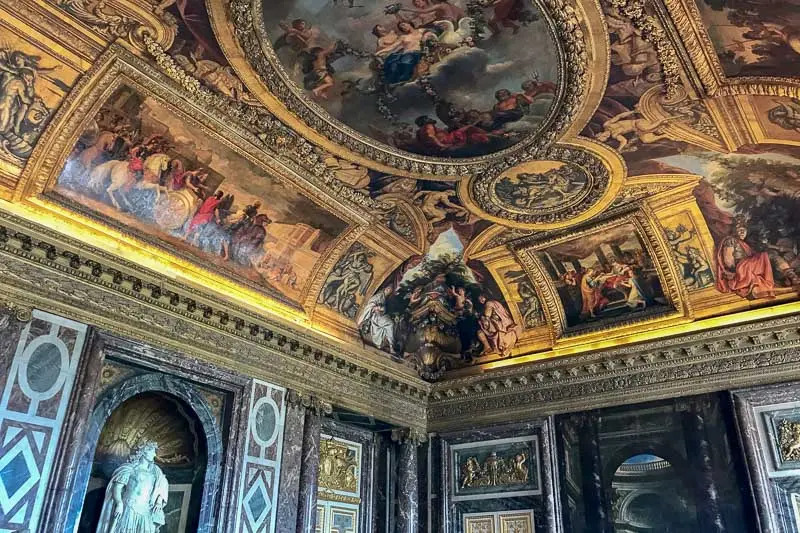 The Palace of Versailles was originally built as a hunting lodge in the 17th century by Louis XIII. It has been added to and renovated many times since by successive Kings of France. 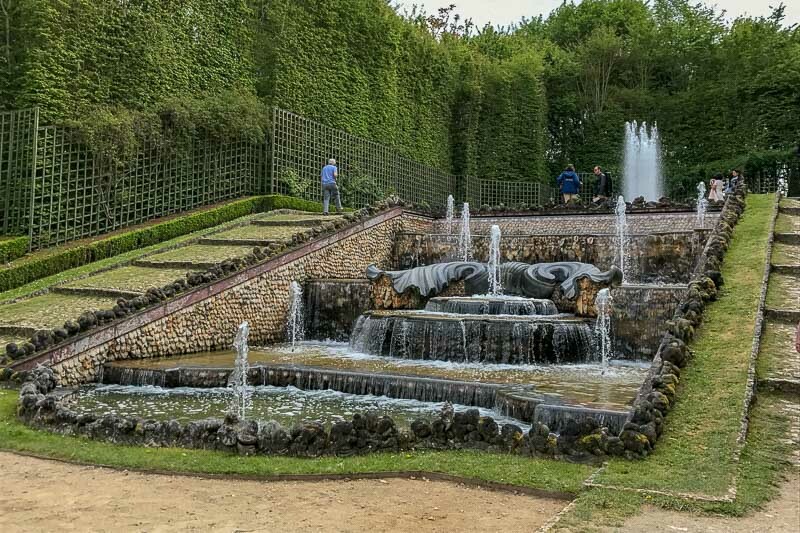 For approximately a hundred years it was the home of the Royal Court when Louis XIV moved to there from Paris. 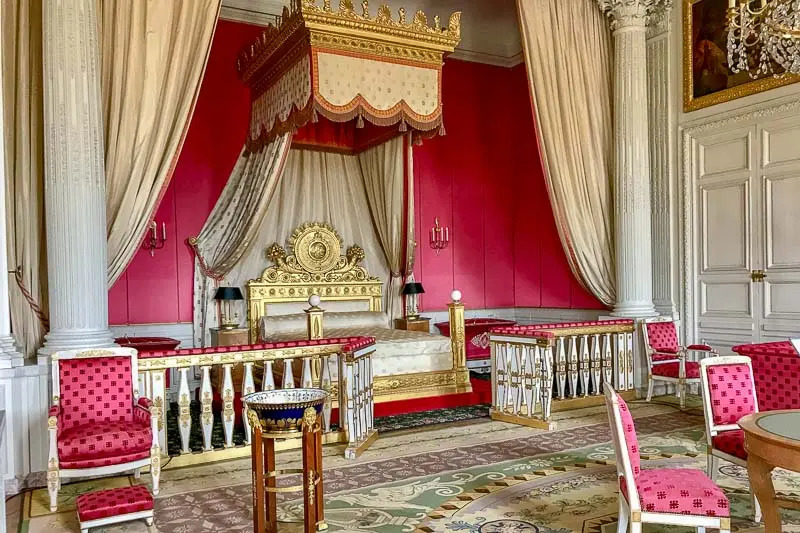 The royal family moved back to Paris during the French Revolution, and Versailles now stands as a symbol of the excesses of the upper class that helped to trigger that revolt. 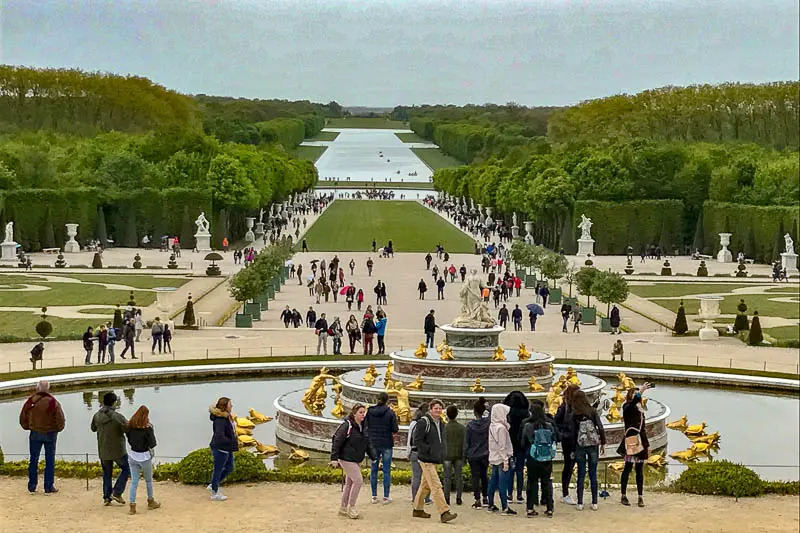 Today it is popular to take a day trip to Versailles from Paris. We chose to travel by train from Paris to Versailles. We met the RERC at Invalides station, but depending where you are in Paris there are many options. Google Maps is my go-to app to work out what public transport we need to use to get around. The RERC tickets cost €3.55 each way. The train terminates at Versailles Château Rive Gauche which is the station to get off at. As you emerge from the station, head to the right. We soon noticed everyone walking in the one direction, so followed along. It is impossible to miss the Palace once you are pointing in the right direction. My suggestion is to buy your tickets in advance! We didn’t, and I now wish we had done so. There was no benefit to buying them at the gate, and it took about half an hour to sort out. As you arrive, there is a security point to go through to check your bags. Be prepared, there are bag checks everywhere, so I suggest taking as little as possible with you. Note that any large luggage will not be admitted. Once through the security check, you will be met by a mass of people milling around a huge courtyard. If you need tickets go to the buildings on the left hand side. We encountered a line that wound it’s way back and forward through the building to ticket counters. Before we got to the counters – but after we had already waited twenty minutes or so – we noticed some self serve machines for purchasing tickets. There was no line up for them at all. In two minutes I had our tickets, and we were on our way. More signage for these machines would be very helpful. Tickets in hand, now it is time to join the line! 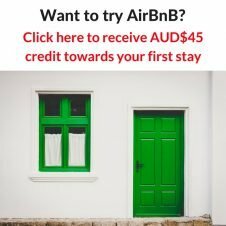 And here is the number one recommendation I can give you – GET HERE EARLY! We didn’t. By the time we got to this point it was almost 10:30am. There was an official talking to another group of people as we joined the line, and he told them the wait from this point was about 2 1/2 hours! The crazy lineup. The line went back and forth across this courtyard eight times. He was right too. It was just before 1pm when we finally made our way through the airport-style security screening point and were now inside. 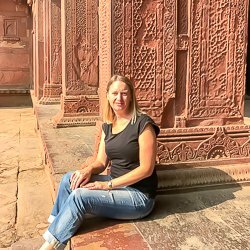 We had already decided we were going to have a quick look through the main palace and get out into the gardens as soon as we could. 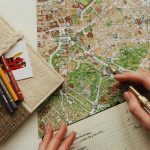 There is a free audio guide included in the ticket price, but in our experience, we always want to listen to everything and it takes us a lot longer to visit a place because of it. That is definitely the best way to learn about the palace, but we just didn’t have enough time so we chose to go without the audio guide. As it worked out, we were swept along through the palace at the same pace as the rest of the crowd. It was shoulder to shoulder, and there was barely any room to stop and take photos. Even though selfie sticks were not allowed, there were arms reaching in all directions to get the best shots possible. I’m not sure if these were “normal” crowds or if this was an extra busy day. As someone who doesn’t like crowds very much, I really didn’t enjoy the experience of looking through the palace. At one point everyone was crammed together moving towards a doorway. Not for me! While the experience was not great, the palace itself is spectacular. It’s completely over the top. The extravagance has to be seen in person to be believed. I would love to have the opportunity to go back with no crowds, to be able to take my time with the audio tour, read the placards and really look around at my own pace. It was a relief to finally get out into the gardens, even though we were met with a light shower of rain. By this stage we were getting hungry as we hadn’t eaten since breakfast. We found the Brasserie de la Girandole hidden away in the gardens and there was a single free table under cover to keep us out of the rain. We had a simple lunch, and were pleasantly surprised at the reasonable prices. I was expecting it to be much more with such a readymade clientele. We spent an hour exploring the gardens, groves and fountains. Some areas are manicured and perfect, others are wilder. Further away from the main palace the gardens become forest-like, making it easy to imagine the hunting parties the estate was originally built for. The Orangerie Paterre. I loved these symmetrical gardens. Visitors are only allowed as part of a guided tour. One of the many water features. This one is in Apollo’s Bath Grove. It’s much less formal than most. On eventually reaching the canals, we noticed people had hired boats and were rowing around. It had stopped raining, but the weather was still not looking great, so we gave it a miss. 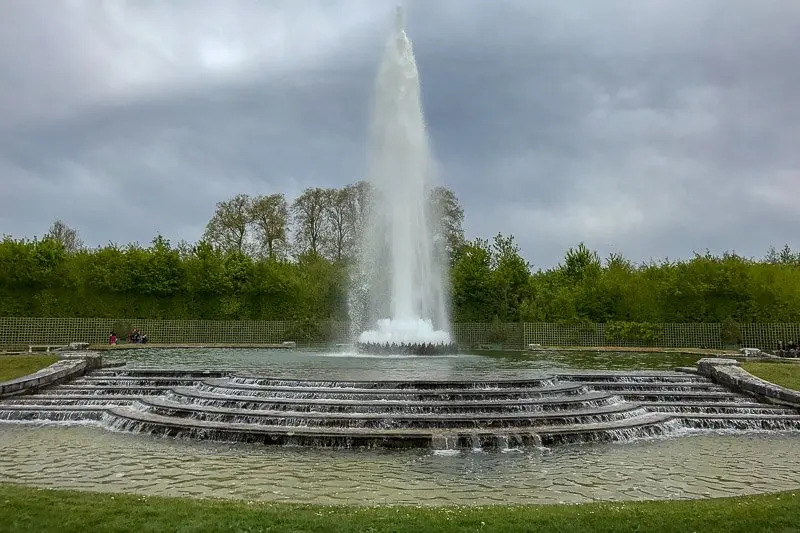 Be aware the fountains do not run all day, but at specific times in the mornings and afternoons – and sometimes evenings in summer. 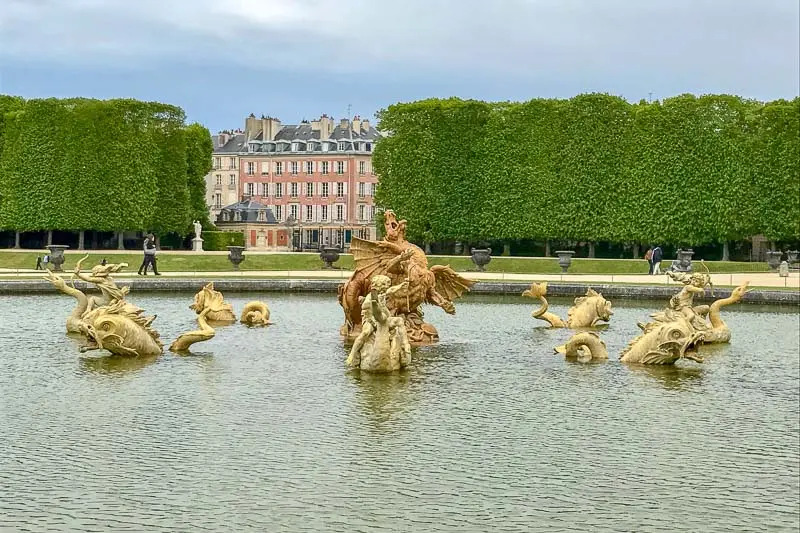 About twenty minutes walk away are the two Trianon Palaces. 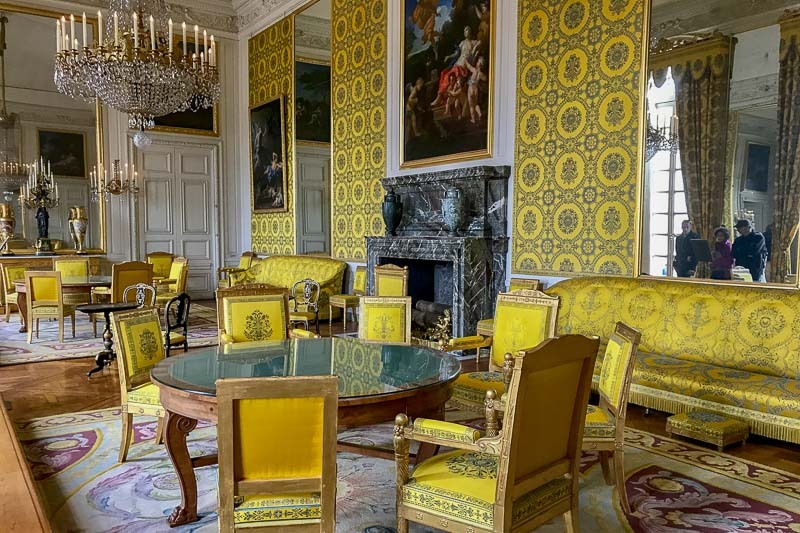 Louis XIV built the Grand Trianon, and the Petit Trianon was built by Louis XV. 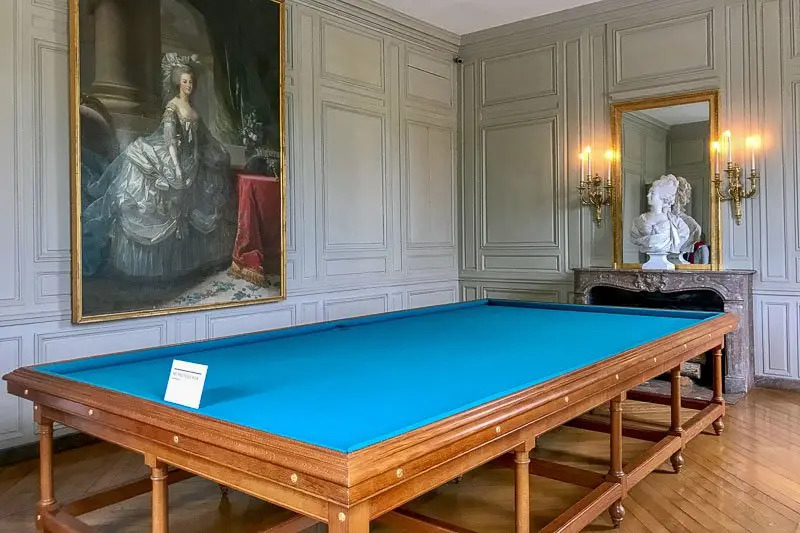 Originally built as private retreats where they could escape the formalities of the court, they are on their own estate adjacent to the grounds of Versailles. 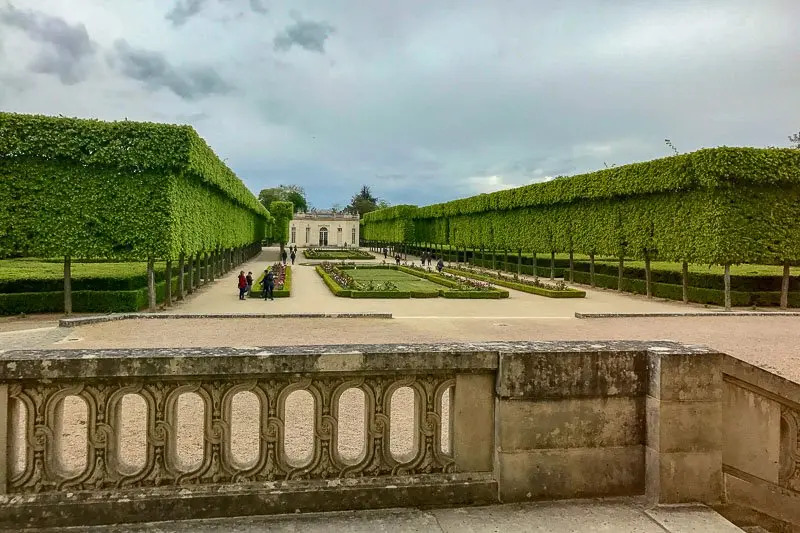 One wing and gardens from Grand Trianon. Even this small palace is huge. 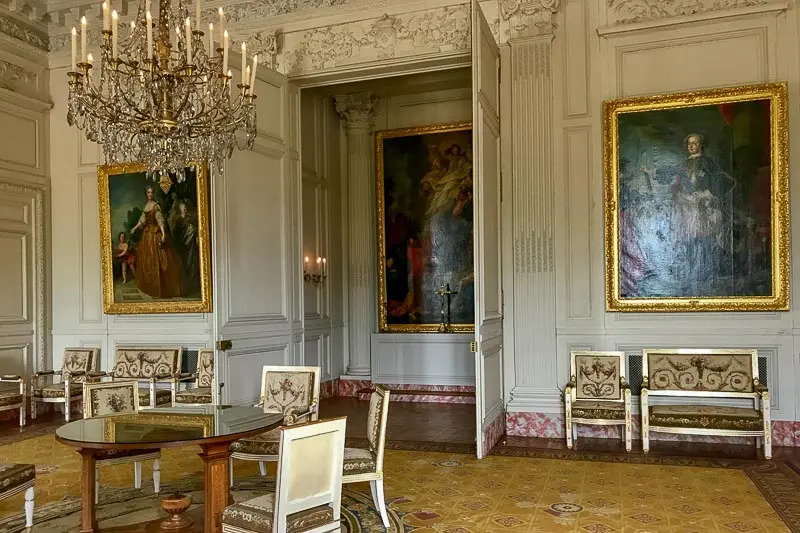 Grand Trianon, the intimate, less formal palace. 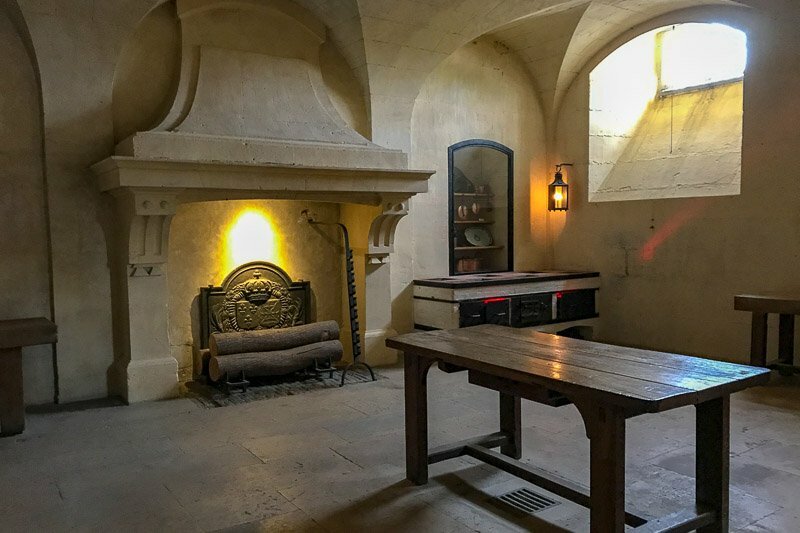 While no less luxurious and spectacular, it is easier to see how life occurs in these smaller houses. We were able to visit some of the kitchen areas to show the workings behind the scenes. 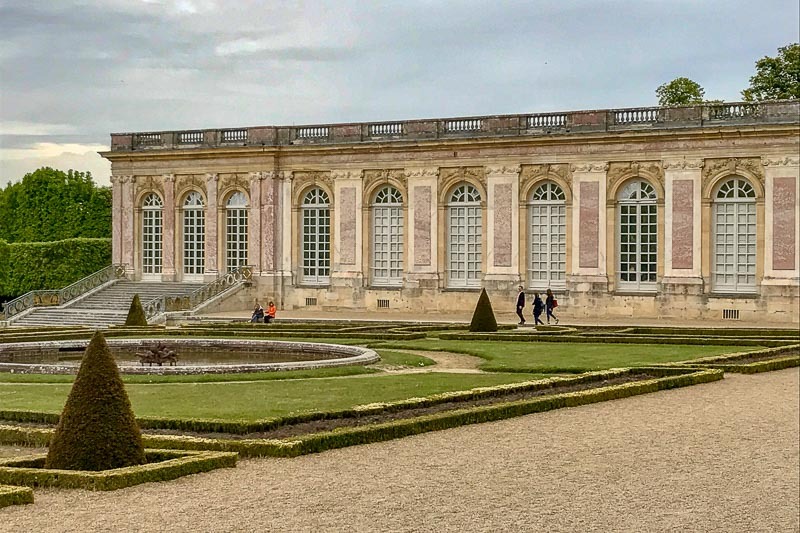 Both the Grand Trianon and the Petit Trianon have their own spectacular gardens, but we didn’t explore them as we knew we were running out of time. The Trianon Palaces are only open in the afternoons, so don’t plan to visit them first. The crowds were much less than the main palace, but there were still many people around. There is also another bag check and security point before entering each of the buildings. While we chose to walk to the Trianon Palaces, it is quite a distance and there are other options. There is a little train that goes back and forward from the main gardens for €4 return, or you could hire a golf buggy for the entire day to help you get around the huge estate. Unfortunately due to our late start we missed two parts of Versailles that we would have like to have seen. 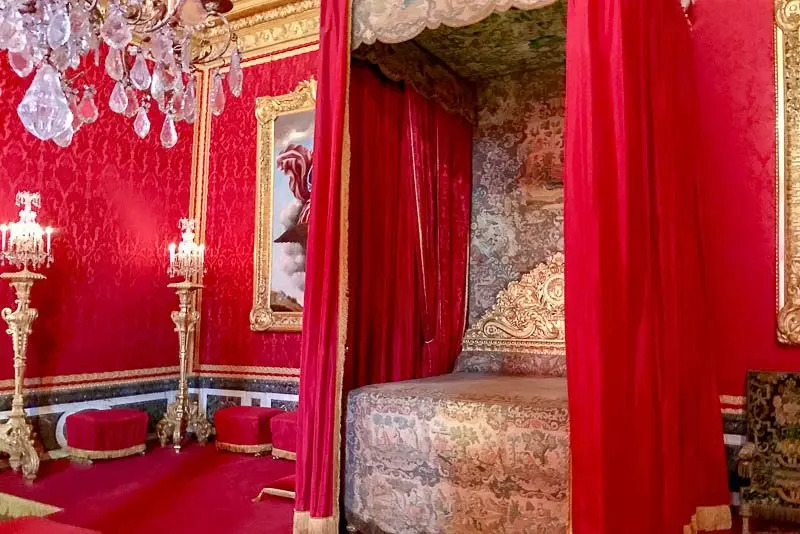 The Coach Gallery displays many of the restored coaches that were used by the French Royals while they were at Versailles. 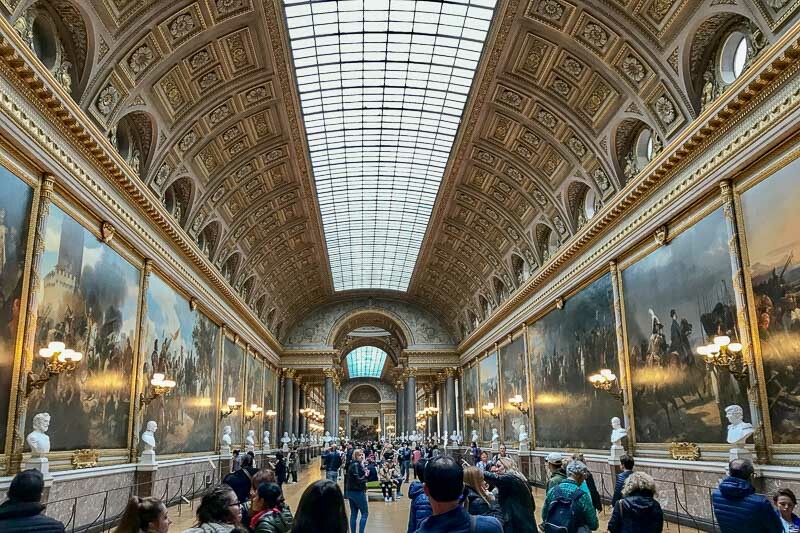 The gallery is at the front of the Palace, and you would have walked past it before entering. It is only open in the afternoons, and it is recommended that about one hour is needed to visit it. The Estate of Marie Antoinette contains The Queen’s Hamlet, a little town built by Marie Antoinette mainly to educate her children. It contains models of traditional Normandy buildings. 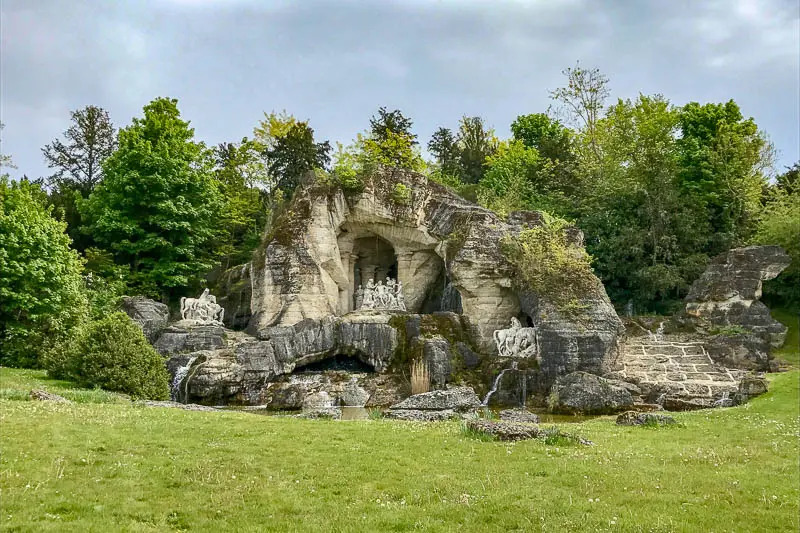 This is located behind Petit Trianon, which was Marie Antoinette’s favourite place of respite. I think it’s fairly clear that I really disliked the crowds. 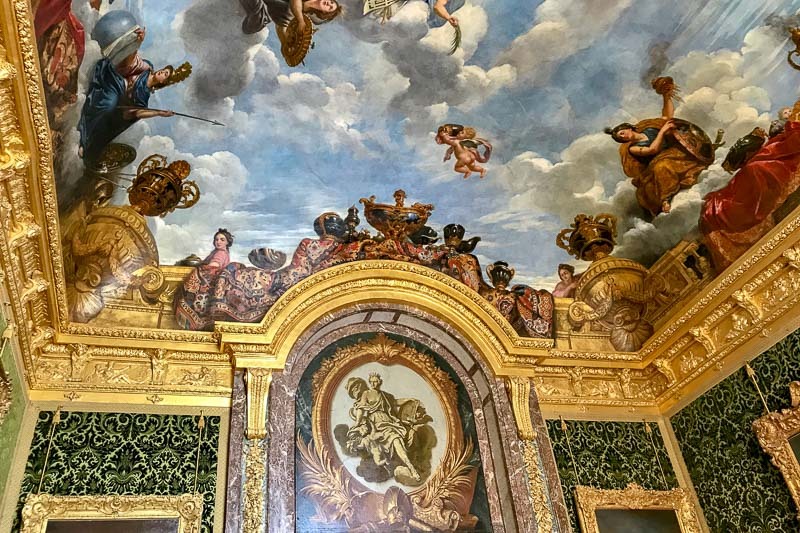 To the point where I don’t know if I would ever go back to the Palace of Versailles knowing I would have to deal with them again. BUT I am really glad I have been here once, and seen with my own eyes this amazing, extravagant, completely over-the-top place. Even though I had seen many pictures and stories, it’s experiencing the scale of it all that is worth the effort. 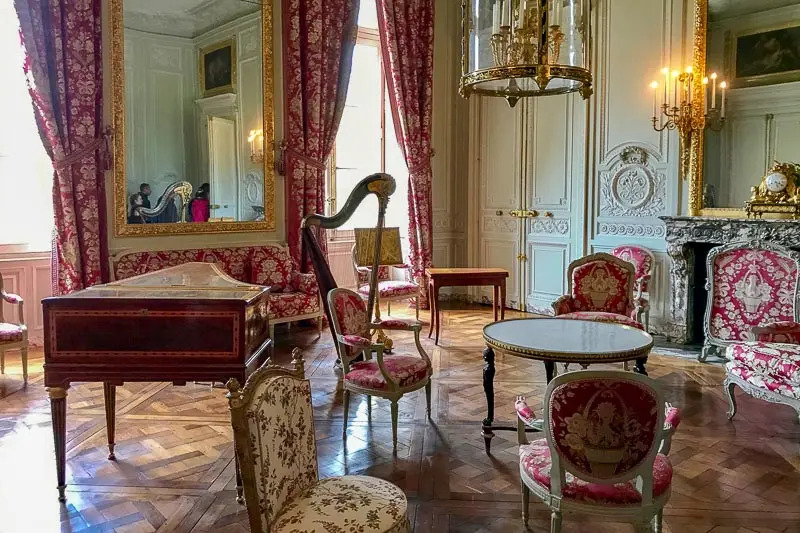 I will perhaps consider going back to see the parts that I missed which can be done separately, or perhaps choose one of the behind-the-sceens style tours available to be able to get more information and avoid the crowd. 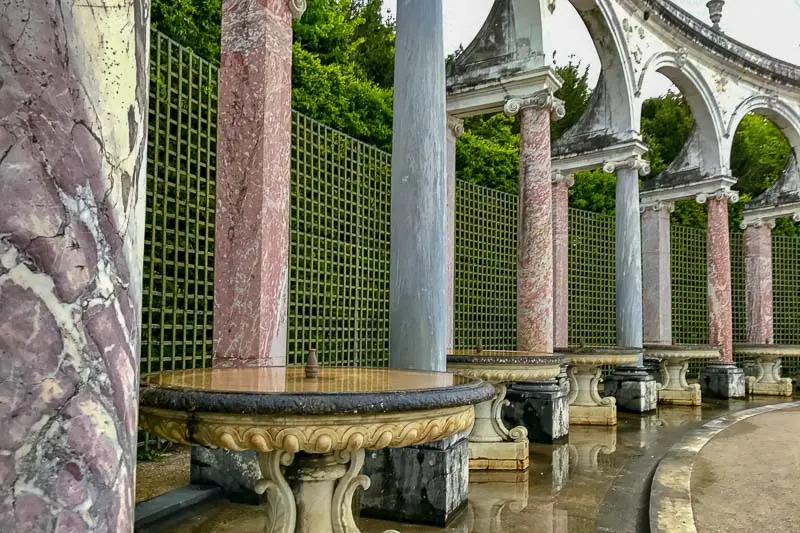 The Gardens are another story, and they are lovely to wander in, and I would gladly while away an afternoon in the sunshine here. 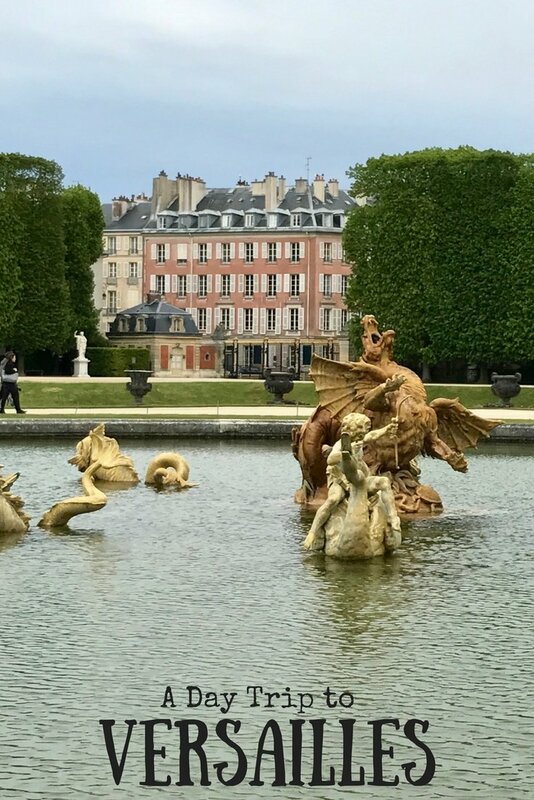 A must see day tour from Paris! Want to see what else we got up to in Paris? 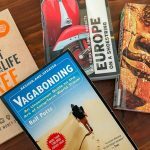 Click here to read about all our travels in France. My husband & I went in mid-May 2016. We arrived at Versailles at noon. Maybe it was our timing or time of year, but it wasn’t even half as busy as your picture depicts. We got lucky, I suppose. We were there for six hours and still didn’t see everything, either, but we took our time in certain areas. If you decide to give it another go, perhaps try it during the shoulder season? As for tickets, I agree – buy them in advance. We bought ours a few weeks before. Definite time-saver. Gorgeous pictures, by the way! Thanks Rachel. Nice to hear that it is not always as crazy as the day we were there. Makes me think giving it another go sometime in the future could be a possibility. But I couldn’t handle the crowds and the queuing. Gardens look amazing .. incredible feat pruning the hedges so perfectly. Think I’ll be happy just looking back through your photos. Thanks Carol. If someone had told me about the crowds beforehand I probably would have not gone too! I really can’t stand crowds! It’s on my list and I appreciate the tips!! 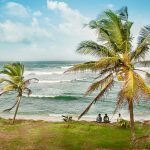 I will definitely try and avoid the tourist times now as I feel the same way as you about them! I’m glad I could help Kristen. 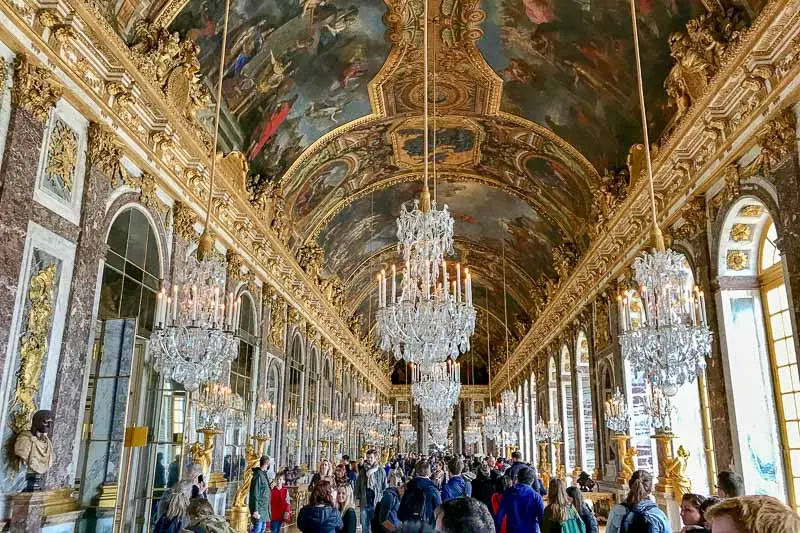 My next trip to Paris is definitely going to include a trip to Versailles. Amazing pictures. Thank you! 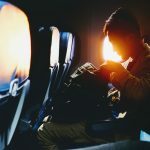 I hope your trip does not include the crowds though! Wow! Such opulence would be amazing to see up close. But I would’ve hated those crowds too, sounds so suffocating and difficult. The gardens are stunning, glad you got to enjoy them more! Yes, the only downside was the crowds. I think if I arrived and saw that again I would turn around and leave. I did this as a daytrip, when I visited Paris, as well! I got lucky as the fountains were on for the first time that spring! The enormous crowd is such a buzzkill to an otherwise grand and opulent palace. 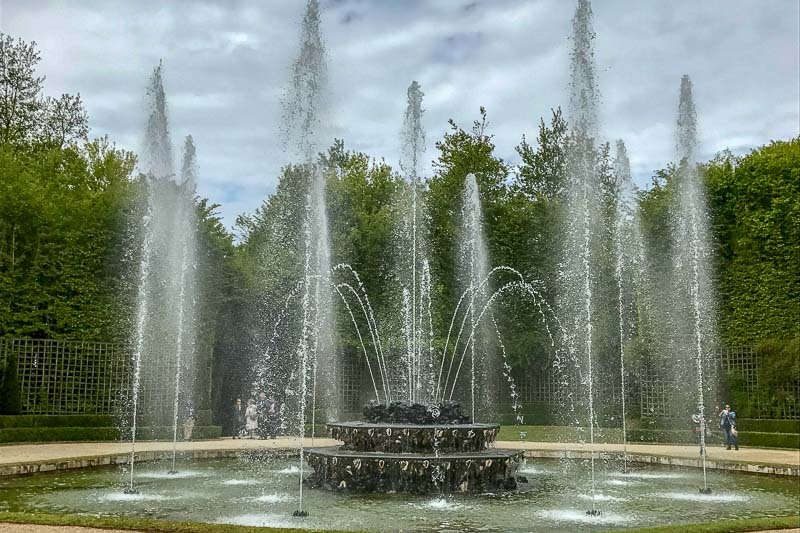 I particularly liked the gardens and fountains, they’re so lovely! Exactly! The crowds were crazy. Wow! 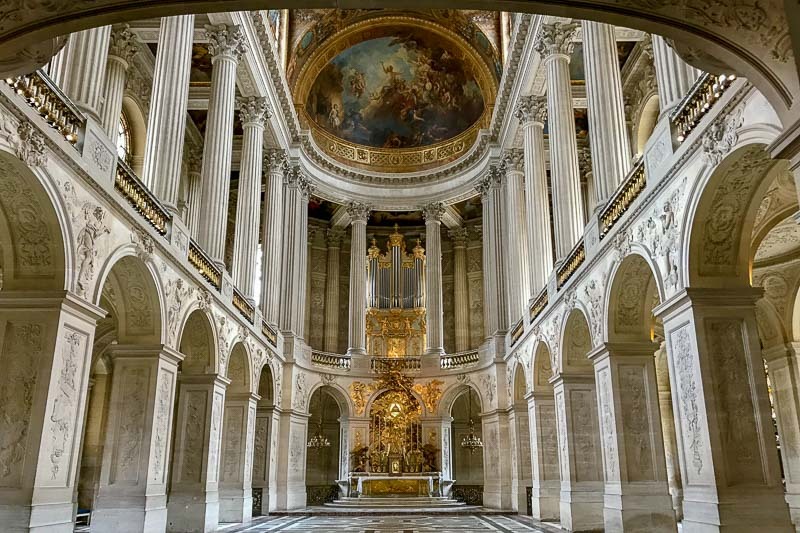 The Palace of Versailles looks like one of those places that, despite being SO touristy, you should see at least once. It looks absolutely stunning! Thank you for sharing!! Thanks Candice. Yes, I believe it should be seen once! It is so over the top that unless you see it you wwould not be able to picture the extravagance. I feel ya on the crowd but as you said I would love to see it in person someday myself whenever I visit Paris 🙂 Thanks for sharing your honest opinion. Thanks Richa. Looking back now the crowds seem to have faded in my memory but the opulence and extravagance has not. Totally worth a visit one day. Great post! 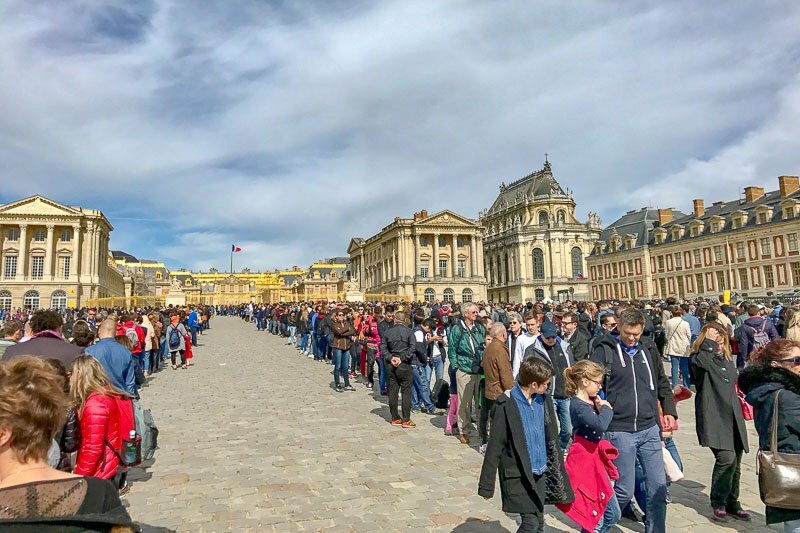 I agree with you that the crowds at Versailles can be overwhelming. I can’t even imagine going in the afternoon like you did! 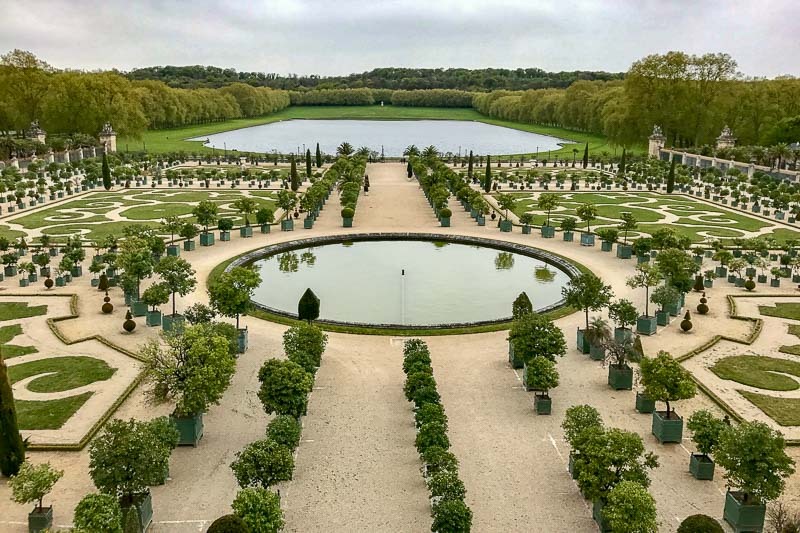 Purchasing tickets in advance online for the 9am slot is the only way I would visit Versailles again. It would make the crowds so much more easier to manage. Your pictures of the gardens are stunning. I was there in the winter and, sadly, missed all the flowers. I’m hoping to go back next time I’m in Paris!